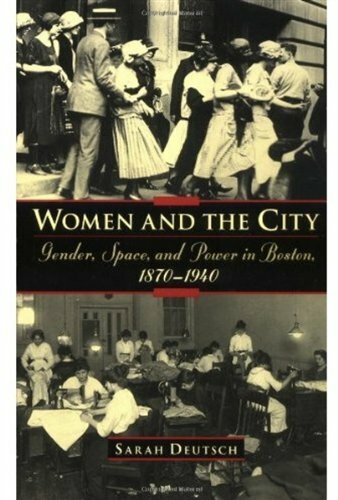 In Women and the City: Gender, Power, and Space in Boston,1870-1940, SarahDeutsch examines the relationship between the city's evolvingstructure and the choices and strategies of various groups ofwomen. Her study follows the efforts of working-class, middle-class,and elite matrons as they struggled to shape the city to meet theirrespective needs. In succeeding, they redefined the moral geography ofthe city, and broadened Deutsch's own opportunities many decadeslater. Deutsch orders her study topically. The first four chapters examinethe politics of everyday life, showing how the daily lives anddomestic spaces of women were intimately connected to the sorts ofclaims they made in and on public arenas. Her final three chaptersfollow women as they organize and institutionalize their efforts,demonstrating the complex ways in which the relationship between womenand the public terrain is specific to class, ethnicity, and historicalmoment. As the book makes clear, space "does not have independentagency." Its meaning and power are determined by how groups of peopleorganize their social, political, and economic interactions. For thewomen of Boston, the ability to lay claim to certain types of spaceand the power to shape place were crucial to meeting their basicneeds. Hard to know where to start praising this wonderful book. Chapter after chapter, Sarah Deutsch tosses off insights like a dog shaking water off its back. For historians coming up behind her, there is a thesis idea on virtually every page. In a section entitled "Protegees, Politics, and Class (1909-1931)," Deutsch identifies political partisanship and patronage networks as the kind of disruptive or countervailing forces that now, as then, may skew news reporting and divide individuals who might otherwise work together for a social good. An example: "When the headlines blared, 'Women Republicans Opposed [the appointment of] Miss Meehan,' women Republicans insisted that the issue, instead, was nonpartisanship. Meehan's was not the only patronage case being disputed after a decade of Republican hegemony so strong that the party's members had forgotten it was a party and not a nonpartisan organization. The women (and the fewer men) involved in the dispute deployed the language of expertise, political hackery, and gender to make their case. Meehan's supporters spoke, in addition, the language of class and party." Women and the City also has an excellent index. were not the same as those of F. Scott Fitzgerald--and they were very different. a better understanding of both groups. Winner of the Historic Preservation Book AwardWinner of an ASLA Merit AwardOriginally published in 1989, this book offers an insightful inquiry into the in-tellectual and cultural origins of Mount Auburn Cemetery, the first landscape in the United States to be designed in the picturesque style. Inspired by developments in England and France, and founded in 1831, Mount Auburn became the prototype for the "rural cemetery" movement and was an important precursor of many of America's public parks, beginning with New York City's Central Park. An excellent book for anyone interested and cemetery, early American and Boston history! 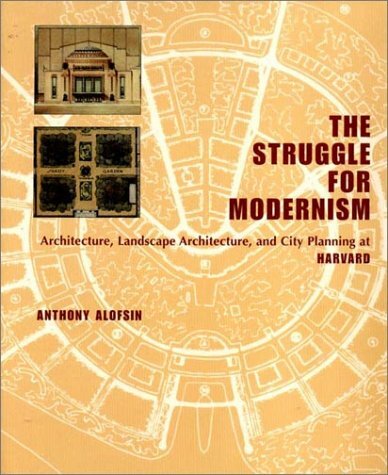 This book has been extremely influential for me as an art history student and scholar-in-training. I go to school in Boston and visited Forest Hills Cemetery on a whim. My captivation with this place led me to this book. Forest Hills Cemetery was founded by same man as Mount Auburn Cemetery- Henry A. S. Dearborn. This book was the starting place for my research on Dearborn. Read this book and you will learn the fascinating story of the beginning of the rural cemetery movement. 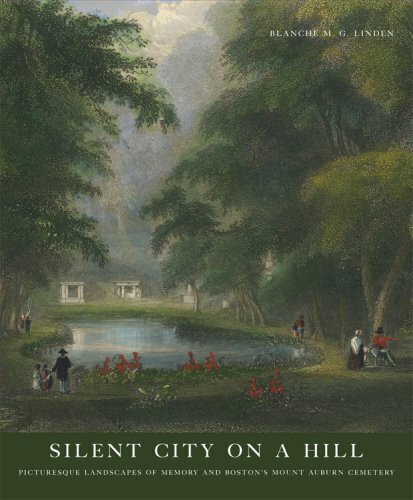 Silent City on a Hill is an excellent piece of scholarship- well written and thoroughly researched! It is also well illustrated with photographs of the places and historical engravings, maps and portraits. Thousands of visitors annually visit America's first and best example of a rural cemetery. Mount Auburn Cemetery was consecrated in 1831. It came about as a practical, down-to-earth (no pun intended) solution to a pressing problem. Boston simply had no more room left in which to bury its dead citizens. A group of business men decided it was a good idea to develop a new burial ground well outside the city limits, but close enough for people to easily visit and pray for their departed family members. It was also suggested that the new burial ground should be a pleasant place to visit and where the living could be assured that the departed were residing in a pleasant and peaceful environment. It was decided to enlist the Horticultural Society to help achieve this new concept in rural burial grounds. Since Mount Auburn was the first such cemetery in the United States it was a forerunner of not only rural burying grounds but many landscaped, public parks within city limits. Central Park in New York City was one such result of this new beautiful park concept. If one doesn't have the patience or interest in reading the rather dry 1861 annual report-like "History of Mount Auburn Cemetery" by Jacob Bigelow, the President of the Corporation and one of the founders of that National Landmark, this is the award-winning coffee table book for you. It's lavishly illustrated with colorful prints as well as photographs and is meticulously researched and well written. More importantly, it's interesting to read. The history of Mount Auburn is fascinating and for those who have actually visited the peaceful location, it will refresh many of their personal memories. In the 19th Century more visitors came to see Mount Auburn than went to see Niagara Falls. It was, and still is, world famous as a "City of the Dead." 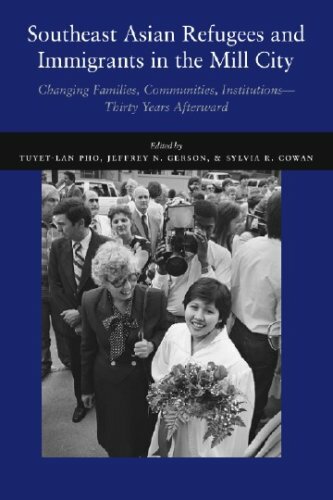 This timely volume examines the influx immigrants from Southeast Asia to Lowell, Massachusetts, over the past thirty or so years. Numbering about 20,000 people--a very significant one-fifth of the city's population--these are primarily refugees and their offspring who fled genocide, war, and oppression in Cambodia, Laos, and Vietnam in the late 1970s and resettled in the United States. The Lowell experience is representative of a truly national phenomenon: communities in Long Beach, Orange County, and San Diego, California; Seattle, Washington; Minneapolis-St. Paul, Minnesota; Houston and Dallas, Texas; New Orleans, Louisiana; Northern Virginia; and Southern Florida have experienced similar population growth. The historical and contemporary essays chronicle the formidable efforts of Lowell's Southeast Asian community to recreate itself and its identity amid poverty, discrimination, and pressures to assimilate. They also examine the transformation that has occurred of both newcomers and the community at large. Four-fifths of Americans now live in the nation’s sprawling metropolitan areas, and half of the world’s population is now classified as "urban." As cities become the dominant living environment for humans, there is growing concern about how to make such places more habitable, more healthy and safe, more ecological, and more equitable—in short, more "humane." 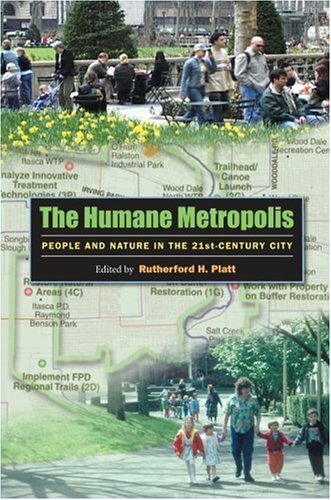 This book explores the prospects for a more humane metropolis through a series of essays and case studies that consider why and how urban places can be made greener and more amenable. Its point of departure is the legacy of William H. Whyte (1917-1999), one of America’s most admired urban thinkers. From his eyrie high above Manhattan in the offices of the Rockefeller Brothers Fund, Whyte laid the foundation for today’s "smart growth" and "new urbanist" movements with books such as The Last Landscape (1968). His passion for improving the habitability of cities and suburbs is reflected in the diverse grassroots urban design and regreening strategies discussed in this volume. Topics examined in this book include urban and regional greenspaces, urban ecological restoration, social equity, and green design. Some of the contributors are recognized academic experts, while others offer direct practical knowledge of particular problems and initiatives. The editor’s introduction and epilogue set the individual chapters in a broader context and suggest how the strategies described, if widely replicated, may help create more humane urban environments. In addition to Rutherford H. Platt, contributors to the volume include Carl Anthony, Thomas Balsley, Timothy Beatley, Eugenie L. Birch, Edward J. Blakely, Colin M. Cathcart, Steven E. Clemants, Christopher A. De Sousa, Steven N. Handel, Peter Harnik, Michael C. Houck, Jerold S. Kayden, Albert LaFarge, Andrew Light, Charles E. Little, Anne C. Lusk, Thalya Parilla, Deborah E. Popper, Frank J. Popper, Mary V. Rickel, Cynthia Rosenzweig, Robert L. Ryan, Laurin N. Sievert, Andrew G. Wiley-Schwartz, and Ann Louise Strong. In the popular imagination, New York City's Greenwich Villagehas long been known as a center of bohemianism, home to avant-gardeartists, political radicals, and other nonconformists who challengedthe reigning orthodoxies of their time. Yet as Gerald W. McFarlandshows in this richly detailed study, a century ago the Village was amuch different kind of place: a mixed-class, multi-ethnic neighborhoodteeming with the energy and social tensions of a rapidly changingAmerica. 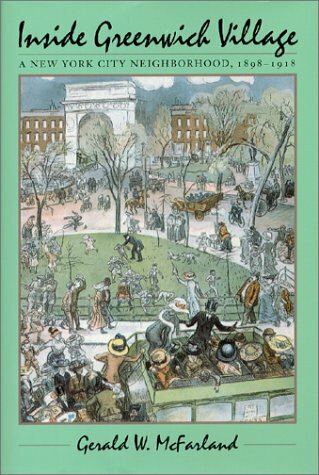 McFarland begins his reconstruction of turn-of-the-centuryGreenwich Village with vivid descriptions of the major groups thatresided within its boundaries: the Italian immigrants and AfricanAmericans to the south, the Irish Americans to the west, thewell-to-do Protestants to the north, and the New York Universitystudents, middle-class professionals, and artists and writers wholived in apartment buildings and boarding houses on or near WashingtonSquare. He then examines how these Villagers, so divided along classand ethnic lines, interacted with one another. He finds that clashingexpectations about what constituted proper behavior in theneighborhood's public spaces-especially streets, parks, andsaloons-often led to intergroup conflict, political rivalries, andcampaigns by the more privileged Villagers to impose middle-classmores on their working-class neighbors. Occasionally, however, acrisis or common problem led residents to overlook their differencesand cooperate across class and ethnic lines. the Village as an immigrant enclave for the generations who grew up thinking of the Village as a Bohemian/Folk Music/Gay mecca.Professor McFarland traces distinct elements that converged in the Village at once--immigrants, affluent Progressives, the wealthy Protestant "old guard" and the emerging artist and bohemian population. Includes useful maps that illustrate various periods in Village history.This book makes walking those familiar streets a much more informed and historically rich experience.Well done. Any with an affection for New York's famous Greenwich Village will want the lively social history Inside Greenwich Village: A New York City Neighborhood, 1898-1918. The Village has been the center of bohemians, artistry, radical politics and more - yet a century ago it was a mixed-class neighborhood reflecting a changing nation. It's this era which history professor Gerald McFarland focuses on, reconstructing its culture and history with a survey of the major groups who occupied Greenwich Village. The different era focus will make Inside Greenwich Village an invaluable exploration. In the early nineteenth century, Lowell, Massachusetts, was widely studied and emulated as a model for capitalist industrial development. One of the first cities in the United States to experience the ravages of deindustrialization, it was also among the first places in the world to turn to its own industrial and ethnic history as a tool for reinventing itself in the emerging postindustrial economy. "The Lowell Experiment" explores how history and culture have been used to remake Lowell and how historians have played a crucial yet ambiguous role in that process. The book focuses on Lowell National Historical Park, the flagship project of Lowell’s new cultural economy. When it was created in 1978, the park broke new ground with its sweeping reinterpretations of labor, immigrant, and women’s history. It served as a test site for the ideas of practitioners in the new field of public history—a field that links the work of professionally trained historians with many different kinds of projects in the public realm. The Lowell Experiment takes an anthropological approach to public history in Lowell, showing it as a complex cultural performance shaped by local memory, the imperatives of economic redevelopment, and tourist rituals—all serving to locate the park’s audiences and workers more securely within a changing and uncertain new economy characterized by growing inequalities and new exclusions. I'd like to second all the positive and well-deserved praise for Stanton's The Lowell Experiment. In clear and thoughtful prose, Stanton's study does indeed "tackle the blindspots" in public history. Willing to move outside her own comfort zone, Stanton places her anthropological lens on the public historians themselves.Among other projects, she examines the complex relationship that public historians at Lowell have with their newly found comfort zone in the New Economy, and theorizes how that relationship colors how they are ultimately able to interpret history in their "post-industrial" city (particularly with regards to interpretive offerings that critically link Past to Present). 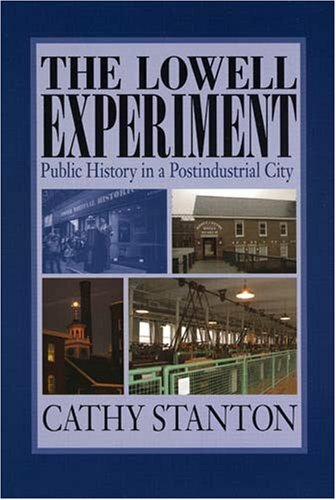 This is a significant contribution to scholars/practitioners of Public History, but The Lowell Experiment should have an even wider readership.I would urge those in American Studies and Labor Studies to read this very important study and to consider teaching it in their graduate seminars.I used The Lowell Experiment in my graduate seminar, "Performing History" (in a History Department).Prior to reading Stanton's monograph, students read Kirshenblatt-Gimblett's Destination Culture, as well as Handler and Gable's The New History in an Old Museum - two texts that The Lowell Experiment self-consciously invokes. "Dynamic" is how I would describe the discussion on the day we addressed Stanton's text.Students were impressed and inspired by her scholarship, and provoked by her ideas (even while at the end of the day many felt a bit defeated about the possibilities for a truly radical public history--but this, of course, is not Stanton's burden to bear). The Lowell Experiment is a refreshing look at a public history site through an anthropological lens by examining the role public historians play at historic sites. Stanton explores complex questions of heritage, tourism and public history detailing how the past shapes the present and the present shapes the interpretation of the past. In addition, she unveils the many challenges and limitations public historians have being both interpreters and contributors to history at historic sites. Stanton's writing is smooth and graceful filled with thought and detail. I would highly recommend this book for both graduate courses as well as readers interested in the politics of historic sites. There is no wonder this book took home the National Council of Public History's book prize, for it is truly a winner. Stanton's examination of the heritage industry combines an astute critique of the political economy of post-industrialization with a deeply empathetic analysis of the quandries and complexities public historians face when attempting to tell complicated and sometimes conflicted stories about the past to broad audiences who tend to come to historic sites seeking a past that is familiar to them.Stanton's achievement here is in her exposure of the silences in the Lowell story and in her gentle but insistent demand that the realities of contemporary post-industrial cities -- shrinking economic bases,poverty and unprecedented heterogeneity among them -- become part of the framework for interpreting the past, grappling with the present and charting the future.